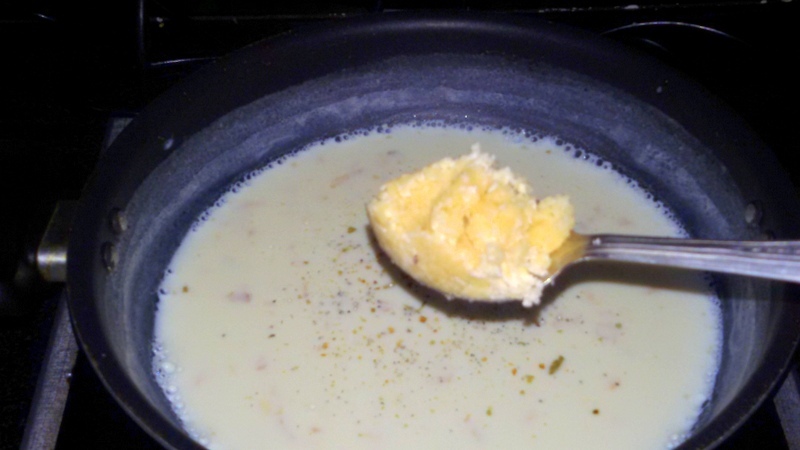 Last year on this special day I started blogging on my own website with wonderful Sheer Kurma recipe. (Here is the recipe) Growing up in Hyderabad I was lucky to have many Muslim friends who are fortunately foodies like me. Muslim cuisine is known for its use of rich spices, fragrant herbs and authentic recipes. Indian muslim cuisine is a food lover’s dreams….the sweets are out of this world. 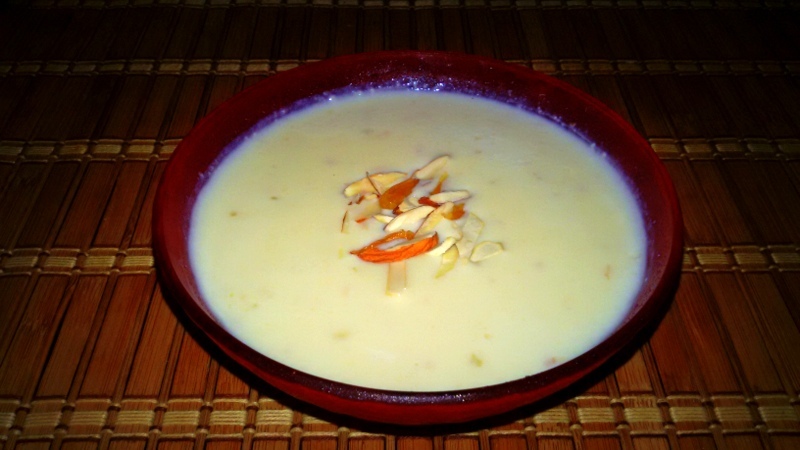 One such out-of-the-world dessert I want to share with you today is Phirni, or Firni…Of course Sheer Kurma is the king of deserts on Ramzan, Phirni is the 2nd best recipe prepared in most of the muslim houses as its quick and easy to make. Phirni/Firni is an exotic Indian dessert, a rice pudding to be precise which is made with milk,sugar and rice. 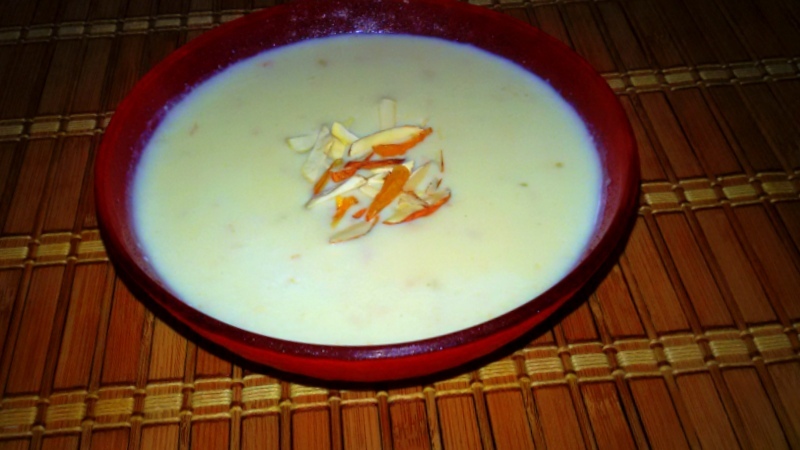 I am posting the basic version of Phirni with almonds. There are many variations to Phirni like Rose Phirni,Kesar Phirni or with fresh fruits like Mango,Orange Phirni!! Last summer I made mango phirni and it was a big hit with guests and family. So feel free to improvise and add variations as you desire. My personal favourite is Baadam phirni as the crunch of almonds makes this an absolutely delightful treat for your taste-buds. I beleive Phirni was introduced to us by the Mughals. 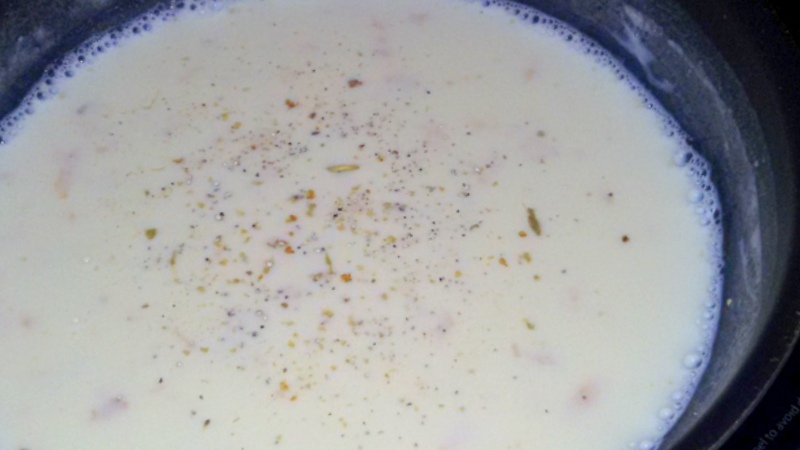 It’s very similar to the rice payasam/kheer that we make. However, Kheer has more rice and less milk and Phirni has just few tsps of rice and plenty of milk. 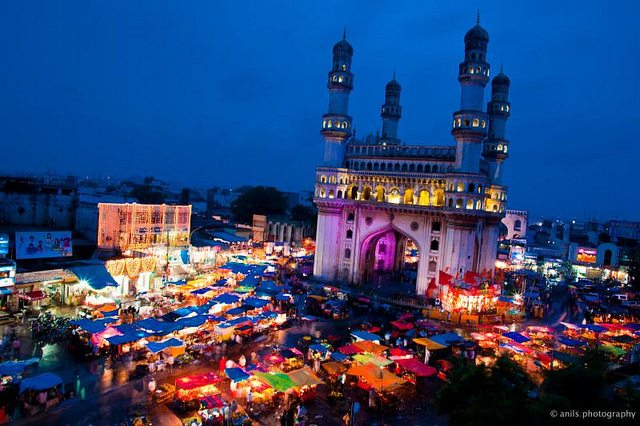 Btw did you guys see how beautiful Charminar is during this holy month? See it to believe it! Ok, back to recipe. Lets get started. For an hour soak almonds in water. peel them and discard the skins. Make a fine paste of them in the mixer. Soak the rice in water for 30 minutes. Drain the water and grind this into a fine powder/paste. I have seen some people use store bought rice flour for this recipe. Somehow I feel basmati rice makes this more rich, but if you are in hurry you can always use rice flour directly. 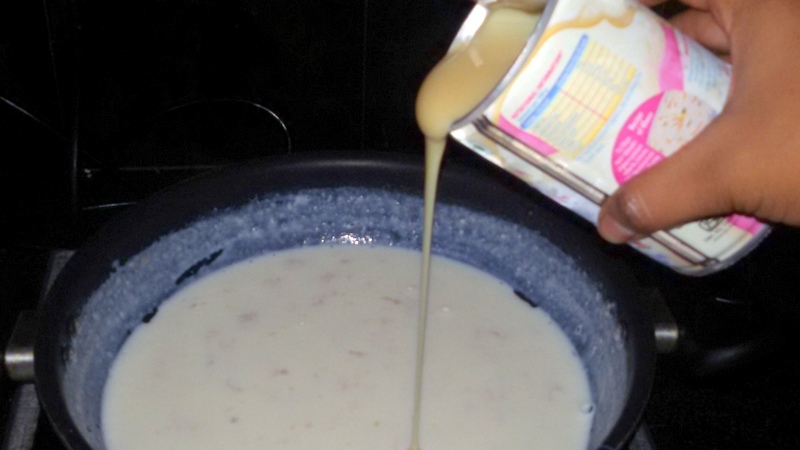 In a heavy-bottomed saucepan, bring all milk to a boil. Add the ground rice powder to this and mix well. Keep the flame low and stir continuously to avoid lumps and getting burnt. Add cardamom powder, few sliced almonds and let this simmer for another minute. Now add, almond paste, condensed milk and stir all the way just to be safe!! In about 10 minutes you should be able to see mixture semi thicken. Turn of the flame, once warm pour them in the serving bowls and garnish with chopped almonds and cashews. Refrigerate for 3 to 4 hours at least to enjoy this desert. Ideally its served in an unglazed clay dish with a narrow base like a big diwali diya. if you have these use them for that authentic presentation or just use regular bowls.